As the 20th anniversary of JonBenét Ramsey's death approaches, multiple networks are set to release documentaries and TV specials that will delve into the still-unsolved case as new details continue to emerge. For example, CBS is preparing to air The Case Of: JonBenét Ramsey, a docuseries that will follow the original investigators on the case as they use new technological developments to reexamine critical evidence. One significant figure who emerges in the context of the original JonBenét Ramsey case is FBI Special Agent Ron Walker. Who is he, and what exactly was his involvement in the case? 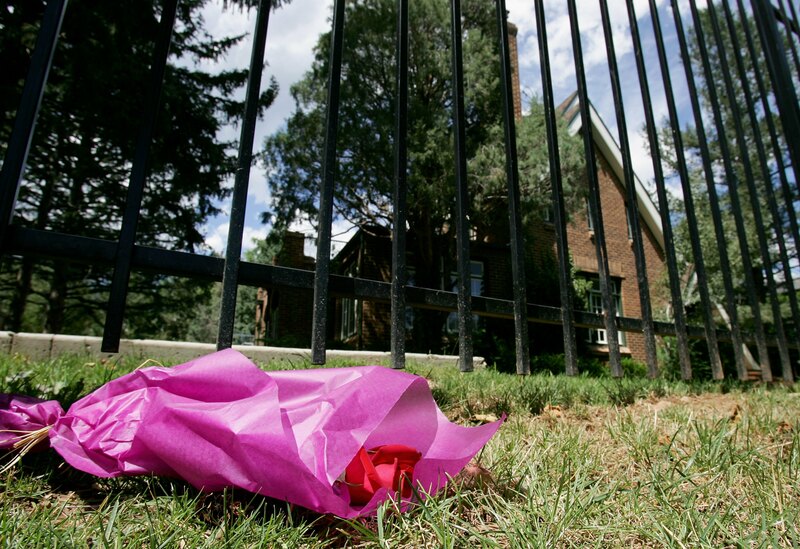 A little over two years after Ramsey was found murdered in her family's Boulder, Colorado, home, Newsweek published excerpts from Lawrence Schiller's book, Perfect Murder, Perfect Town. In the book, Schiller sought out all the details he could find about Ramsey's death and the subsequent investigation. Newsweek reported that Schiller had drawn from 571 interviews to reconstruct what had happened on and after the day Ramsey was found dead in 1996. As a result, The New York Times called this book Schiller's "overstuffed scrapbook on the Ramsey case." At Boulder police headquarters, Det. Sgt. Larry Mason got a page from the Ramsey house: "We've got a body." "Oh, f---," Mason said, half aloud. "Ron," he told FBI Special Agent Ron Walker, "it's a homicide." Walker, an experienced FBI profiler, knew that finding JonBenet's body in her own home meant there had probably never been a kidnapping. In the case of a homicide where the dead child is found in the parents' home, the FBI's standard procedure is to investigate the parents and the immediate family first and then move outward in circles. Multiple reports confirm that the investigation began with Ramsey's parents, though they both maintained that they were innocent until they were finally cleared. In a 2000 episode of A&E's Anatomy of an Investigation — you can watch Part 1 below and click through for the rest — Walker gave Bill Kurtis a grueling description of the things he had seen parents do to their children, to justify why the investigation started as it did. In describing how the investigation could have gone more smoothly, Walker also said that the FBI's initial offer to help the Boulder Police Department was rebuffed, contributing to what Kurtis called "crucial mistakes" in the hours before the police brought the FBI back into the case. These mistakes included searches that were not conducted, and neighbors that were not immediately interviewed. "I wouldn't necessarily say it's the most complicated case I've seen," Walker told Kurtis. "It certainly is complicated because of all of the different players you had in this thing that sometimes appeared to be at odds with one another, when the common goal should have been just to investigate the case properly and as I said, make sure that justice is served." Because of his proximity to the case, Walker was able to offer valuable insight on the nature of Ramsey's death. He explained to Kurtis that based on the information to which he had access, Ramsey would have typically been a "low-risk victim." But Walker also criticized the discrepancy between all the attention the case received and what actually happened. I think journalists report the news that people want to see and hear, but a great disappointment is the fact that in view of all the media attention paid, and all of the voyeuristic attention on the part of the public paid to it — in there is lost the real idea that a little girl was killed, and the investigation was impacted, really, to some extent by all of this undue attention paid to it. Ahead of this episode's release, Kurtis told the Denver Post back in 2000 that this had been Walker's first public interview after the launch of the investigation. Walker is now retired from the FBI, but his insight is still important to consider in light of the upcoming TV and film projects about Ramsey.